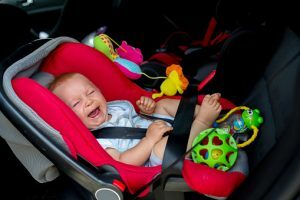 Are you a parent worried about your child being hurt in a vehicle accident? It turns out that fear is not unfounded given the high rate of young children who are exposed to possibly life-threatening injuries. A recent study published in the New England Journal of Medicine and based on an analysis of 2016 data has found that guns and motor vehicles accidents account for the vast majority of child fatalities across the country. Approximately 1 in 10 deaths of U.S. children and teenagers are caused by cancer but 6 out of every 10 childhood deaths in the United States is linked to gun violence or motor vehicle crashes. The research study concluded that an adolescent or child in the U.S. is 57% more likely to die by the age of 19 years when compared with other comparable wealthy nations. 61% of motor vehicle fatality deaths were children related to injuries and those who faced the highest level of danger were young people living in rural areas. For teens and children living in rural communities when compared with suburban or urban areas, the rate of child fatalities was almost 3 times higher. In the past two decades however, there has been some good news about motor vehicle crash deaths. The rate at which young individuals are suffering fatal injuries in motor vehicle crashes has dropped dramatically during that period. If your child has been hurt in a vehicle accident caused by someone else’s negligence, schedule a consultation with an experienced personal injury lawyer in San Francisco today.